Most people send their kid to Ivy schools (and other non-Ivy schools of similar prestige like Stanford) because they honestly feel that their kids will get superior, elite educations. Amidst the towering intellectuals, the superstar professors and super bright classmates, my son/daughter will surely graduate and found the next Google or Microsoft or win the Nobel Prize. Perhaps more importantly, whose eyes won't bulge, whose face won't turn green with envy when you tell your peers that yes, my son goes to Wharton (not Penn, Wharton!) or my daughter was admitted to Stanford. But it's a sham, a mirage. Permit me to go astray for a moment and invite you to consider an organization like the US Marine Corps. The US Marine Corps is not a particularly selective bunch, they'll take just about anyone who is reasonably intelligent and physically fit. But if the recruit graduates from Marine training, this reasonably intelligent, physically fit anybody is now a highly proficient soldier, arguably one of the very finest in the world. The process has turned coal into a diamond. Consider now, a modeling agency. A modeling agency takes beautiful people and gets them assignments as models. The modeling agency doesn't turn them into beautiful people, they were already beautiful to begin with! I would argue that with the stringent admissions policy of the Ivy colleges, they are more like modeling agencies than the US Marine Corps. The Ivies take bright, motivated (by grades?) students and turns them into....bright and motivated graduates. There's no real transformation there. And there lies the heart of why I think it's all a sham or mirage. There's no real transformation, the kids there are not challenged to do more than they're capable of. Kids there are so used to being No. 1 and so used to being on top that they won't do anything to ruin that pristine GPA and endangering that chance to get that job at Goldman Sachs or the entree to law school, business school or medical school. William Deresiewicz, a former Yale faculty member and himself an Ivy educated man, writes in his essay "The Disadvantages of an Elite Education" that a rather unhealthy message is drilled into the mind of every Ivy student. It's primarily because of this that there's rampant grade inflation at elite universities. The students won't allow anyone else to give them anything less than an A-. The student culture is that of outcomes: what do I get out of this? How is this going to help me land that great job? That attitude is highly toxic to true intellectual discourse and inquiry, something that these elite institutions claim they do better than anybody else. In the next post, I'll address the other half of the Ivy equation: what about the name and the prestige? Doesn't that count for something in getting a better paying job? Isn't it a fact that Ivy graduates earn more than graduates of non-Ivies? Social scientists distinguish between what are known as treatment effects and selection effects. The Marine Corps, for instance, is largely a treatment-effect institution. It doesn’t have an enormous admissions office grading applicants along four separate dimensions of toughness and intelligence. It’s confident that the experience of undergoing Marine Corps basic training will turn you into a formidable soldier. A modelling agency, by contrast, is a selection-effect institution. You don’t become beautiful by signing up with an agency. You get signed up by an agency because you’re beautiful. 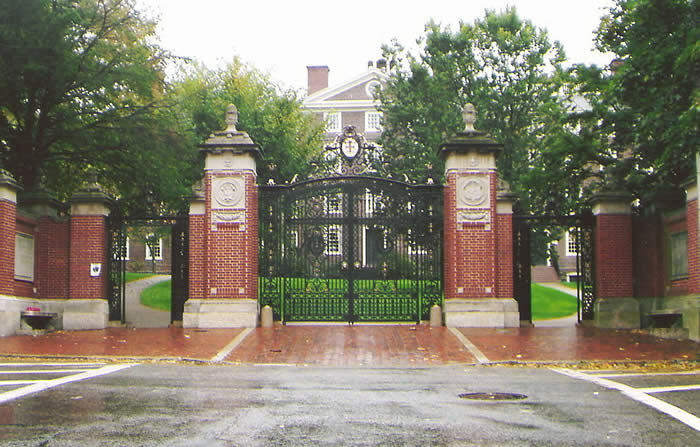 At the heart of the American obsession with the Ivy League is the belief that schools like Harvard provide the social and intellectual equivalent of Marine Corps basic training—that being taught by all those brilliant professors and meeting all those other motivated students and getting a degree with that powerful name on it will confer advantages that no local state university can provide. Fuelling the treatment-effect idea are studies showing that if you take two students with the same S.A.T. scores and grades, one of whom goes to a school like Harvard and one of whom goes to a less selective college, the Ivy Leaguer will make far more money ten or twenty years down the road. The extraordinary emphasis the Ivy League places on admissions policies, though, makes it seem more like a modelling agency than like the Marine Corps, and, sure enough, the studies based on those two apparently equivalent students turn out to be flawed. How do we know that two students who have the same S.A.T. scores and grades really are equivalent? It’s quite possible that the student who goes to Harvard is more ambitious and energetic and personable than the student who wasn’t let in, and that those same intangibles are what account for his better career success. To assess the effect of the Ivies, it makes more sense to compare the student who got into a top school with the student who got into that same school but chose to go to a less selective one. Three years ago, the economists Alan Krueger and Stacy Dale published just such a study. And they found that when you compare apples and apples the income bonus from selective schools disappears. Okay, there's no sugar coating it... you "flunked" the SAT. Well, you didn't flunk technically because no one really flunks but those scores aren't anywhere close to the 800s you think you need to get into that top Ivy college you've been lusting after. Is that the end of the road then? Are you doomed to a life of mediocrity, writing college admission blogs? Okay, so you...um...underperformed. Big deal! Unbeknownst to a lot of Filipino applicants, a growing number of American colleges are wising up to the idea that the SATs don't really mean that much. 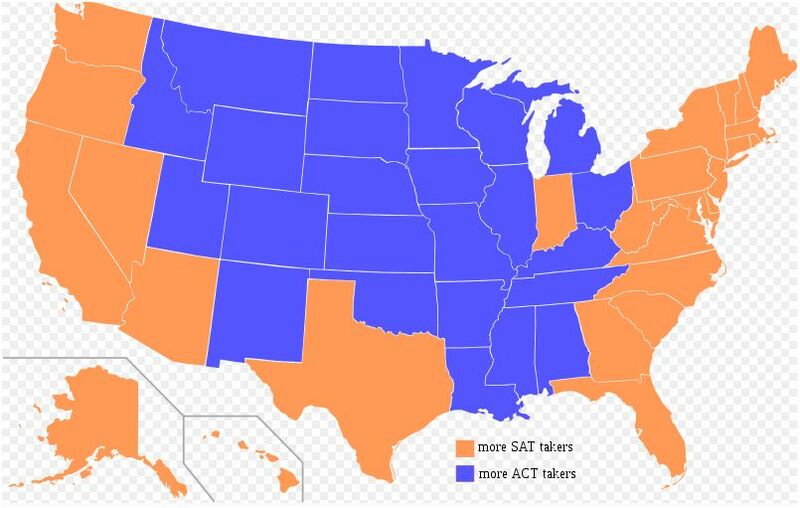 More and more evidence now point that performance on the SAT is not a good indicator of performance in college. Because of this, more and more colleges are going "test optional". What is test optional? Just exactly that. Some colleges leave it up to you if you want to submit SAT scores. If you don't it will absolutely not be taken against you. Some schools even ignore scores completely and if you send them scores, you are just wasting your money. Some schools are "test flexible" which means while they do require some kind of scores, it's up to the student to determine which test scores to send. An example of this is New York University (NYU). They require scores but they can be SAT scores, SAT Subject scores, or IB results. At this point, people will begin to think that test optional schools must not be very good or prestigious since they allow students to "cop out" of the SAT requirement. You would not be more wrong: a lot of these schools are ranked by US News and World Report (retch! spit!) as some of the top in the US (not that these rankings mean much). Schools like Bowdoin College a top 5 national liberal arts college, Bates College (test flexible), and Middlebury College are all test optional. Be warned though that just because they are test optional doesn't make them "easy" schools to get into. So what's the take home message here? 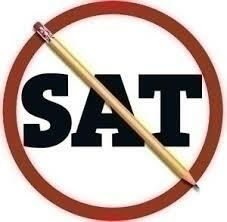 Just this...the SAT (or ACT) is not the be all and end all of the application process. If you ...underperformed ... there are still many good options out there. 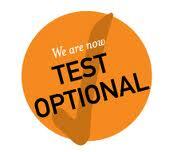 For a list of test optional and test flexible schools, visit www.fairtest.org. Most Filipino applicants to US colleges are unaware that there is an alternative to the dreaded SAT. It's called the ACT. Like the SAT, it is a college entrance test and is multiple choice with an optional writing component. The ACT is also administered in the Philippines at International School Manila in Taguig as well as test locations in Baguio and Cebu City. Formerly known (back in my day) as the American College Test, the ACT is accepted by the overwhelming majority of US colleges as an alternative to the SAT. I honestly cannot think of a school that doesn't accept scores for both SAT and ACT. Note that you don't have to take BOTH the SAT and the ACT but you can and submit the better score. Okay, the first thing I'm sure that comes to mind for most students is: what's the difference between the two and of course, which is the easier one to take? To answer the last question first, it depends on how your brain is wired. The ACT is more of an achievement test, measuring what you have learned in school while the SAT is more an aptitude test, measuring critical verbal and mathematical reasoning. So if you think you'll do better recalling what you've learned, then the ACT just might be your bag. The ACT is also different in that it tests five different areas while the SAT only tests three. The ACT tests English, reading, math (includes trig! ), science and (optionally) writing (note that while writing is optional, some competitive colleges require that if you take the ACT, you do so with the writing component). 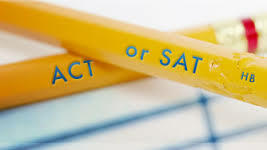 Unlike the 200-800 scale of the SATs, the ACT uses a score of 1 to 36 for each section along with an overall composite score of between 1 to 36. I'm not really sure why the SAT is the overwhelming test of choice here in the Philippines. The ACT is a valid alternative and it would behoove the wise US college applicant to give the ACT a shot.